Hi there....let the JustRite Papercraft March release begin! We are starting off with gorgeous flowers and I have a couple of projects I created with them. So to start out my wall art I stamped my flowers with ink and in this case I used Stampin Up inks as they are great for multi step stamping and I sure had a little fun with them. 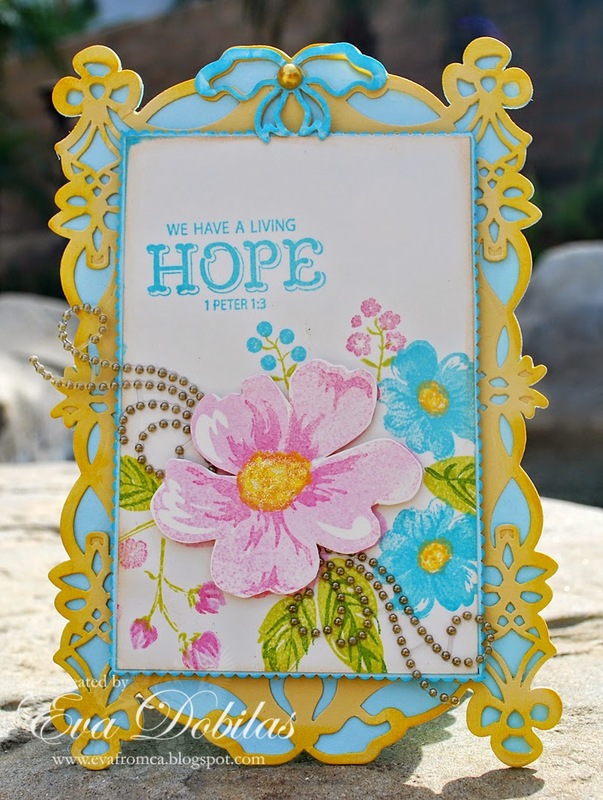 Than I used a Tim Holtz stencil and spread molding paste over it. Once it dried I added green ink on it to make it pop. I wanted to use this as a wall art, so I thought it would be fun to have a pretty sentiment with it. I hand drew the sentiment and painted it in with Aqua Watercolor markers, which happens to be on sale right now at the JustRite Papercraft shop. 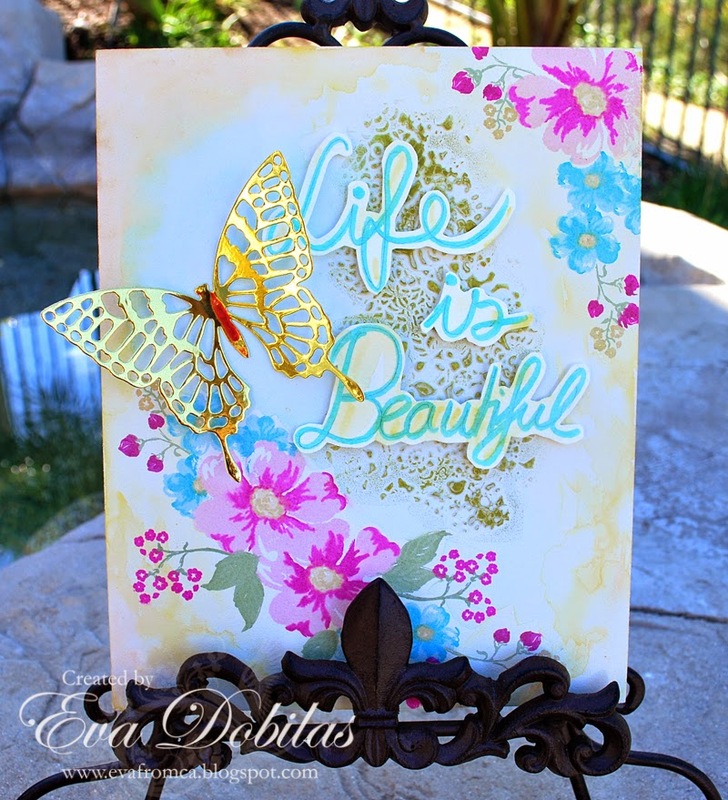 Finally I watercolored the whole board and added a pretty butterfly die, which is also by Stampin Up and die cut it with gold foil paper. My next project is a card and this time I used a new to me Spellbinders die called Bow Elegance Dies. My sentiment came from the Rejoice and Be Glad Clear Stamps. I also added some bling to it to make it even more elegant. 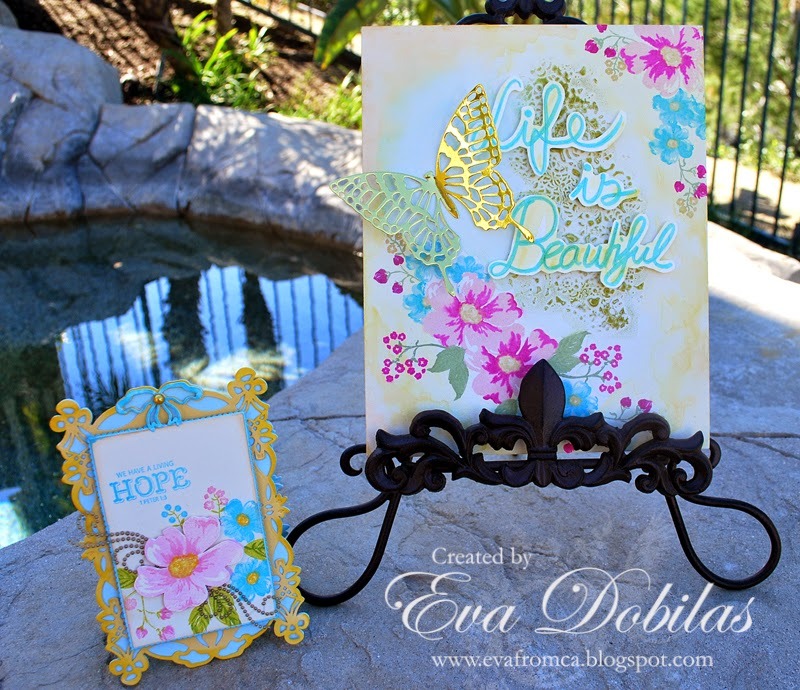 Well, hope you like the new stamp set and now it's time hop over to see what my design team mates have created.